As technology grows and CPUs become smaller the applications for a Mini-PC grow. From media streaming around a network to a simple PC solution, Mini PCs are popping up everywhere. A couple large problems with current Mini PCs are trying to balance size with effective cooling and packing enough punch with hardware to be versatile for many applications. 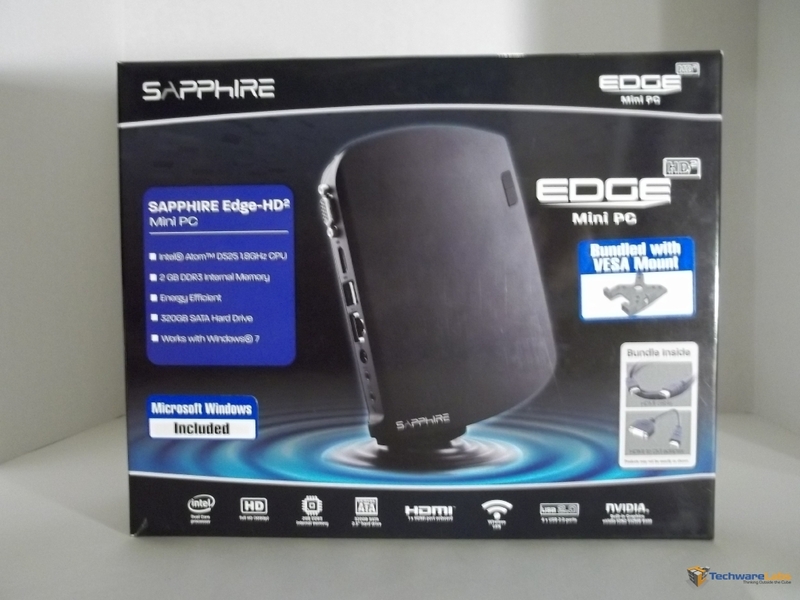 Today I will be looking at the Sapphire Edge HD2 Mini PC and how Sapphire has approached this market. We have 2 Mini PC’s posted back to back. (Zotac’s ZBox http://www.techwarelabs.com/zotac-zbox-plus-media-pc/). Which would you pick? Do you already have a Mini-Pc and looking to upgrade? If you did buy one, What would you use it for?